Baby jogging strollers, are you in the market for one? Feeling overwhelmed by all the choices out there? Wondering what the difference is between a $100 and a $600 jogging stroller? We've all been there and we're here to share our experience with you and help you through the maze of baby jogging strollers. Most simply put, a jogging stroller has 3 wheels instead of 4, making it easier to maneuver when you're running or walking. 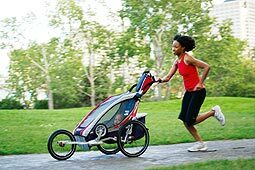 Usually a jogging stroller has much bigger wheels than a normal stroller and good suspension so that when you're running with it, your baby doesn't feel all the bumps and you can push it more easily. There are many types of jogging stroller, from the top of the line BOB which the serious runners use or the Chariot Cougar which can be converted into a bike trailer to the more cheeply made Jeep, Baby Trend or Instep. How Old Does Your Baby Have to Be To Ride in a Baby Jogging Stroller? It depends on the stroller and on your baby. I started pushing my son in my BOB Revolution jogging stroller when he was about two or three months old. Before that I just ran down the street in a regular stroller, which was quite a bit of work, but it did help me lose that baby weight! Usually your baby is ready for the jogging stroller when she can support her own head and as long as you're not running on rough roads, causing your baby to shake in the stroller. Some strollers come with a car seat or you can purchase a car seat adapter for extra until your baby is big enough to ride in the stroller. When Does Your Baby Outgrow the Jogging Stroller? Most baby jogging strollers will say what the weight limit is. I've seen parents pushing jogging strollers in the park with children of about 4 or 5 years old. My son is two and still loves riding in the jogging stroller. But while he used to sit in it for hours, now he wants out after about 30 minutes. If I'm near a park, I can sometimes take a break and let him run around for a bit and then he'll ride peacefully for a while longer. Or I might bribe him with chips, lolly-pops, toys and books and buy myself an extra 20-30 minutes. Ah What Do You Do When Your Child Outgrows the Jogging Stroller!? Get them to run with you. Run while they're at school. Run when daddy's home. Or get them to ride a bike or tricycle alongside you. What Is The Difference Between a Top of The Line Stroller and a Cheep Jogging Stroller? The BOB which runs new starting at about $375 is very light weight and after some practice, just glides along in front of you without much effort at all. The cheeper Jeep which currently sells on Amazon for about $200 is not as light weight and therefore is a lot more work to push it. If you just run a few miles a week or mostly walk, this is a fine stroller. But just because a jogging stroller is more expensive doesn't mean it's right for you. The more well made baby jogging strollers are so sturdy that they don't seem to fold up very well, making them hard to travel with. So if you're not running a lot at the moment and you're more interested in being able to get around with it, you might consider one of the cheeper baby jogging strollers that fold up. How Do You Find the Right Jogging Stroller? 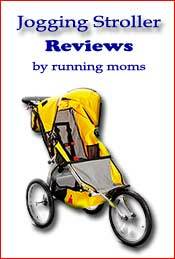 These reviews by running moms tell you what they like about their stroller, how much they run with it and what kind of ground they run on, so they can help you decide what's the right stroller for you. 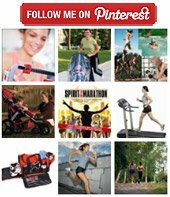 You can also check out this jogging stroller comparison chart. How Do You Push a Jogging Stroller? If you're used to running with your hands free, a jogging stroller can be a little akward to push at first, but you get used to it. Here are some tips on how to run with a jogging stroller. Still Lost In the Maze of Jogging Strollers? 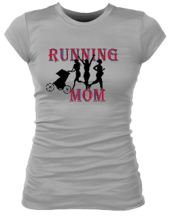 Check out these forums and FAQ's and see what running moms are saying about jogging strollers or start a discussion of your own.